Indexing A Website On Google | Why Is It So Important? HomeSEOIndexing A Website On Google | Why Is It So Important? 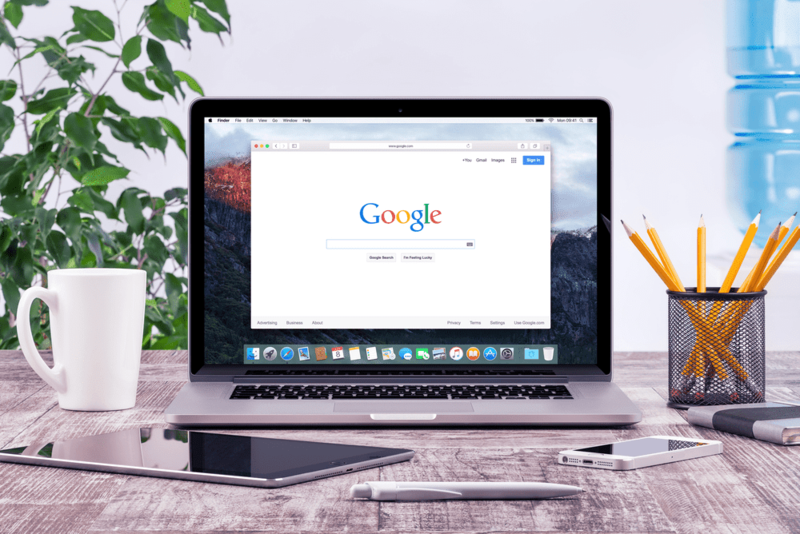 What Is Indexing A Site: The basis for the success of the Google search engine is a fairly simple and complex process called indexing. From the very beginning, indexing has had a very simple principle: to integrate everything new on the Internet at a given time, sites, pages, content updates, and then display everything that is integrated and relevant to a topic, to a keyword search. Indexing precludes google index submitting site content to Google Index. Beyond the complicated technical explanations, Google Index is very similar to an index in a library, that database containing all the information about the books there and that can be searched by anyone who wants a copy of the loan or the room reading. The place of books is taken from large lists of webpages that Google has "heard", all new content and page updates are immediately retrieved and indexed. Basically, the index is a huge database that Google uses to store information about any site analyzed. The analysis is called "crawling", the way a page is analyzed and then indexed depends on the quality of the Google Spider crawler, quite good, since there are currently index updates at all times. Google crawlers track links and updated content on the site, but they are also watching other pages related to the site. Some parts of the site may be "hidden" by these robots by using the Robots.txt file or by a no-index tag. It does not usually index archives, tags, categories, unnecessary pages for a keyword search. All crawling results are added to the Google Index database only after careful and quick analysis that clearly states whether the site is quality or not. Googlebot processes words from webpages. Crawling starts with web pages already captured in previous processes plus data provided by webmasters sitemaps. When new links are found and content is added to Google Index. The complex analysis made during each crawling process takes into account the time of online content display, the type of data existent there, the site's PageRank, the frequency of words relevant to the entire content. Verifying a site's indexing is done simply by searching the search engine by site: name.com, and if multiple pages are to be included in Google Index, a sitemap can be made available through Webmaster Tools. Indexing a site is complete when it's signed up on Google using the URL add-on page, but also when it's linked to external websites that already appear in Google Index. When enrolling new sites using sign-up pages, the search engine lasts for two weeks, but a faster way is to have a link to the site on a site already indexed. If the website also has a high Page Rank, the time decreases even more drastically. Of course, the indexing speed also depends on the frequency of crawl access to the site, which is influenced by periodic updates on the site and long-term updates. The factors that can affect the crawling process are quite a lot, so we will limit ourselves to listing only the most important ones in terms of SEO. Since the importance of the domain name became very large with Google Panda updates, the domain names that include the main keyword that index-google somehow defines the site are taken into account. You have more backlinks, you are trustworthy and you have a better reputation in the eyes of the search engine. Few backlinks translate into Google's vision of poor quality content on the site. If the same text is used in the same article crawling will be more "in-depth", bots analysis will be much more careful. Sitemaps are self-generated if an XML Sitemap is used, Google is informed that a website is up-to-date and will want to send its crawling bots. The less on the site, the more tolerable Google will be. if it's a lot on the site, Google will stop indexing something related to that site. It is good to have SEOs friendly to each page of the site for fast and quality indexing. Meta and non-competitive Meta tags are the start of optimized SEO optimization and appropriate indexing. Both domain names of a site must be added, the preferred domain will be set, but it is good to verify ownership issues in both cases. It can be easily resolved by uploading a properly made sitemap. All robots.txt entries will be removed and the site will appear in the indexes. This type of file provides a list of directions for Google, useful for indexing, it can easily be done after which a submission is given and the site will appear in the search engine. Easily identify bugs with Google Webmaster Tools and then fix it according to Google's guidelines. Unchecking them can lead to redeployment of the site correctly. That file makes it possible to have the site on the web, its unlocking is made simple by following online guides related to .htaccess and reindex. Removes the code line with these attributes and the problem is resolved, the site is indexed correctly. It can check the load times for certain sites and change the server so that Google bottles do not lose their patience during the crawling process. Faster indexing of new sites or new pages in the site can be done by creating a more complex sitemap by uploading or using Google Webmaster Tools, installing Google Analytics, adding URLs to search engines, creating or updating social profiles, linking the new website, high quality social bookmarking, targeting offsite content by adding the site to already indexed directories.